…except, of course, that I will. Didn’t I just say I’m a glutton for punishment? I was all prepared to take another beating and crawl home with my tail between my legs – but… it was okay. I don’t know if our instructor just decided to go easy on us; whether the routine suited me better than the previous one; whether the extra breakfast I had gave me the added boost; or whether it was just in inexplicably good day for me. The funny thing is that even though I felt better than I did last week, my Polar Beat heart rate stats state otherwise. 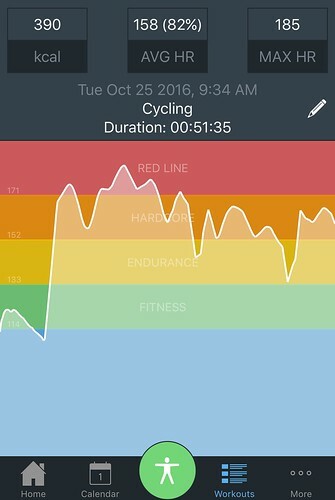 There were a number of times when I exceeded the recommended maximum heart rate for my age (oops, did I just give my age away? Shhhh). Last week, I didn’t even cross over into the red line and I felt like I was dying. This week, I hit the red zone and I didn’t feel it. Well, okay, I lie. I did feel it but not as badly as last week. I actually felt like I was keeping up with the class for the bulk of it. So what’s going on and why should I be concerned? Up until the Mamil gave me a heart rate monitor, I’d never really bothered with stats. 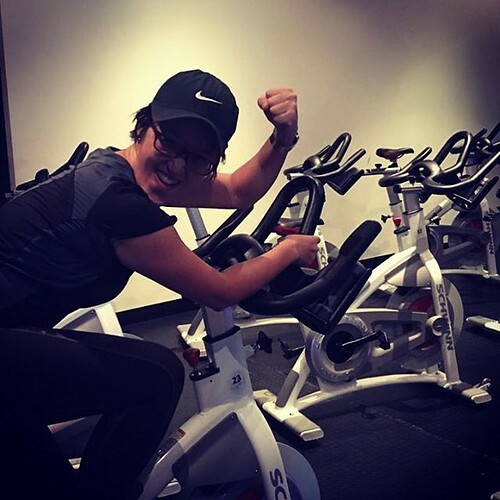 I would push myself when I exercise, but rarely to the point of nausea. I listened to my body and I stopped when things are starting to feel bad. 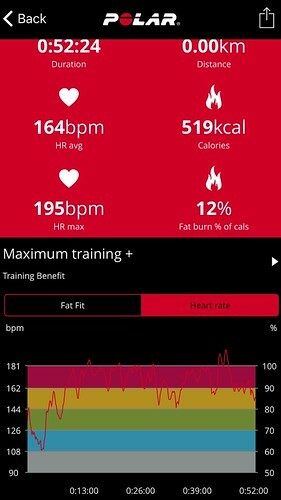 I never really considered the whole maximum heart rate issue because I was sensible – or so I thought. It was until I realised how easy it is to exceed my maximum heart rate without realising it. Exceeding 85% of your maximum heart rate is hazardous to your health because it can precipitate a heart attack. A 2002 study published in the Canadian Medical Association Journal found that exceeding the 85 percent recommendation leads to poor heart-rate recovery (it takes longer for heart rate to return to normal) which is a measure of cardiovascular fitness. The study also revealed increased incidence of non-sustained ventricular tachycardia and ST-segment depression among people exceeding the 85 percent recommendation, both of which are indicators of increased risk for cardiac mortality. Even if you don’t have coronary artery disease or risk factors for a heart attack, it is still not a good idea to exceed 85% of your maximum heart rate because you are more likely to suffer sore joints and muscles and it raises your risk for a musculo-skeletal injury. It also puts you at risk for over-training which weakens the systems in your body get instead of making them stronger. In turn, that leads to increased fatigue and decreased performance. Over-training also makes you more prone to injury and illness. Although there is some challenge to the maximum heart rate, I’m afraid my Mamil’s kiasi-ism has infected me. I am well aware that age is no longer on my side and some caution is warranted. Since I am looking for health and fitness rather than sports performance, there is little sense in killing myself to match the class pace and intensity. Will I don my cleated shoes again after this? Perhaps, I will.